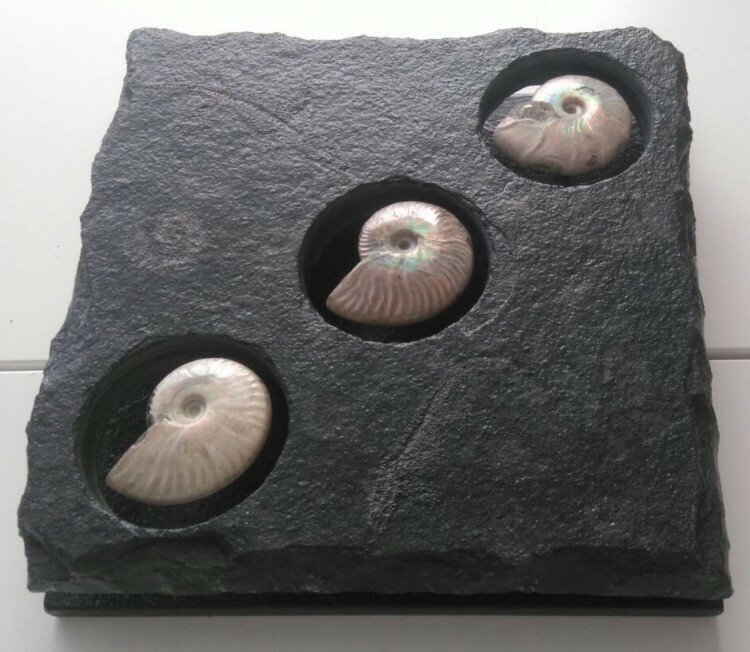 These are hand crafted pieces of "Fossil Art", produced in house by our talented artists. 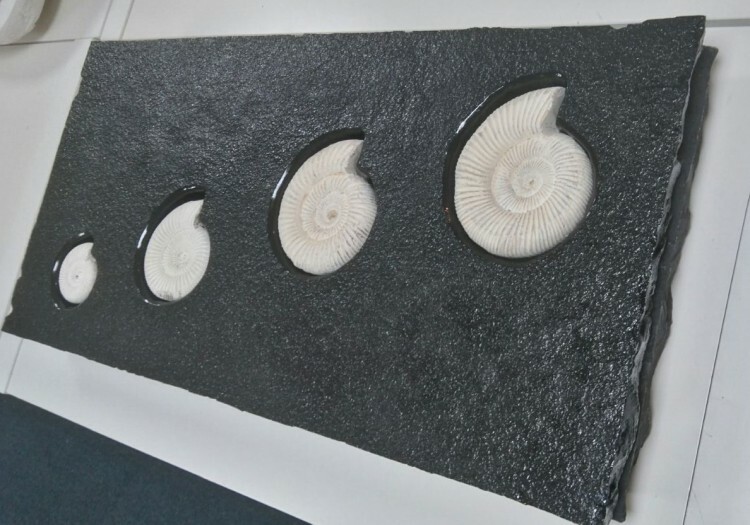 All pieces are produced using genuine fossils from Earths distant past, and natural stone. The work is painstaking, and each artwork takes many hours to procuce. Some pieces are unique, and others are part of a limited edition series. Ascendance of Life. A super limited edition piece of natural fossil art. Floating Pearls. Black Limestone with iridescent ammonites floating within.